I am always looking for a quick way to get meals on the table. During the week my husband and I are on different schedules. I am usually leaving for work as he is just getting up. Not to mention that he does not like to eat right away were I usually wake up starving. So a while a go I started this routine of cooking up a big batch of sausage and or bacon on Sundays and storing it to be used during the week. 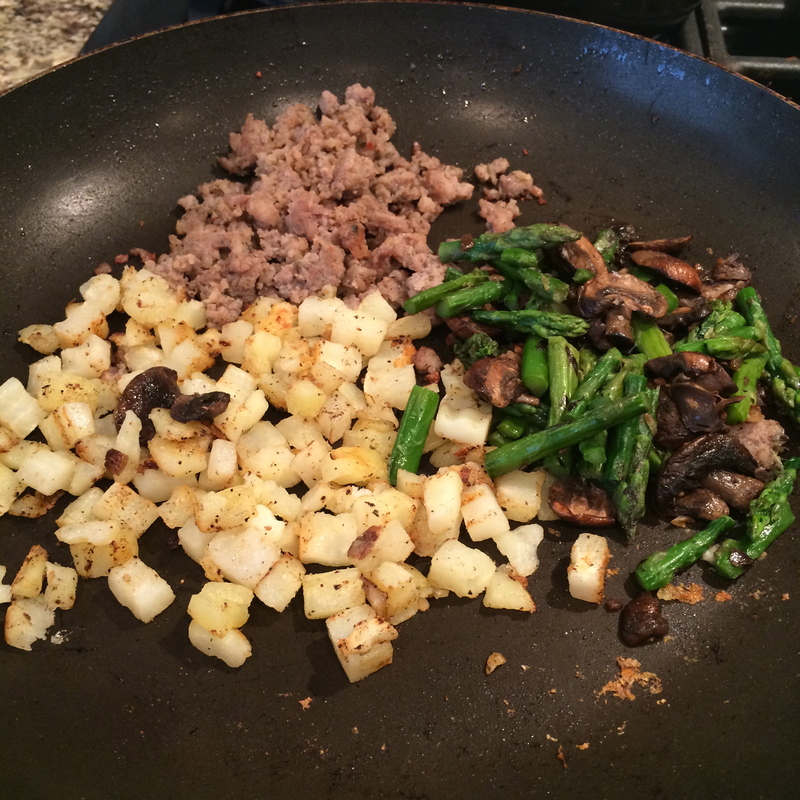 I also cook up extra vegetables during week night meals that I use for our morning scrambles and omelets. Here I have sausage, mushrooms, and asparagus. 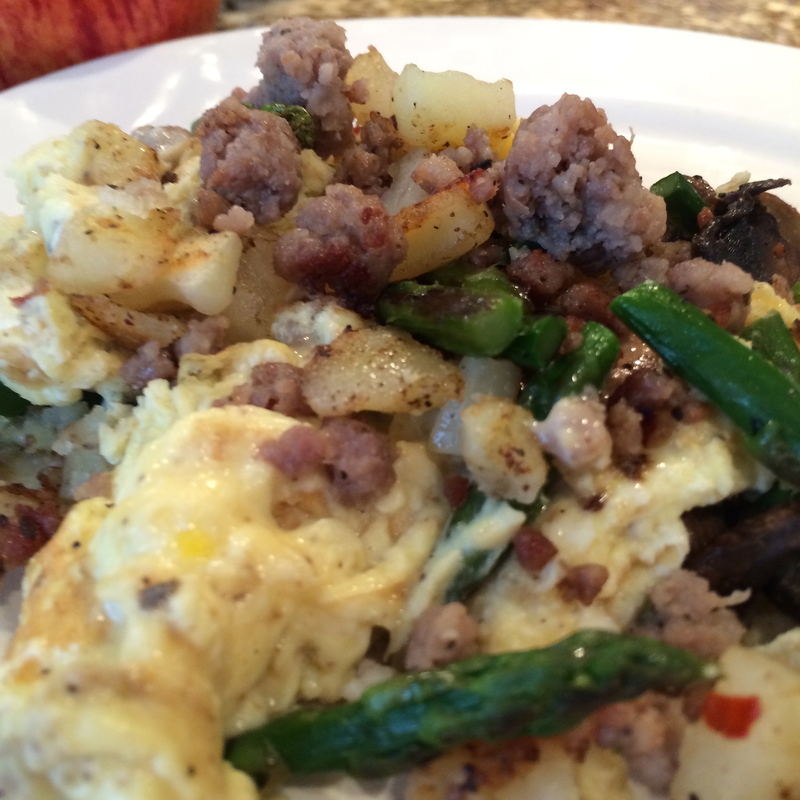 I add a handful of frozen potatoes and a few spoonfuls of the sausage and veggies. 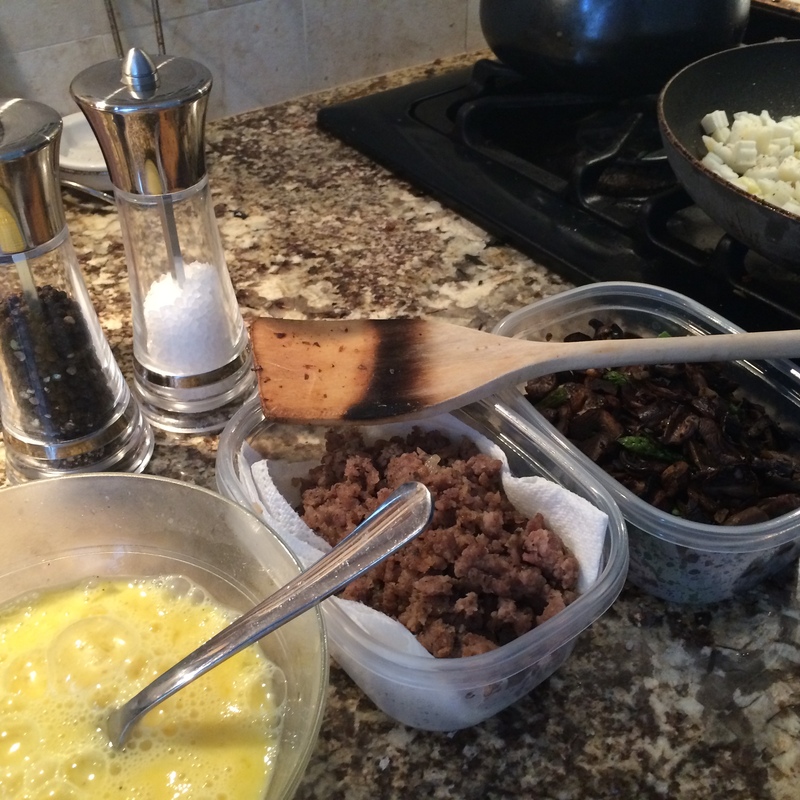 Quickly scrambled the eggs and had a yummy breakfast in a matter of minutes. Note: If you are in a real hurry you can cook the whole thing in the microwave.